Situated near the beach, this resort is 1.3 mi (2.1 km) from Masjid Tengku Mahkota Abdullah Rompin and within 20 mi (32 km) of Endau-Rompin National Park and Tanjung Gemok Ferry Terminal. Endau Mosque is 16.4 mi (26.4 km) away. Along with an outdoor pool, this resort has a sauna and 24-hour room service. Free WiFi in public areas and free self parking are also provided. Other amenities include a children's pool, concierge services, and dry cleaning. All 112 rooms provide conveniences like refrigerators and coffee makers, plus free WiFi and flat-screen TVs with cable channels. Guests will also find 24-hour room service, free newspapers, and free bottled water. 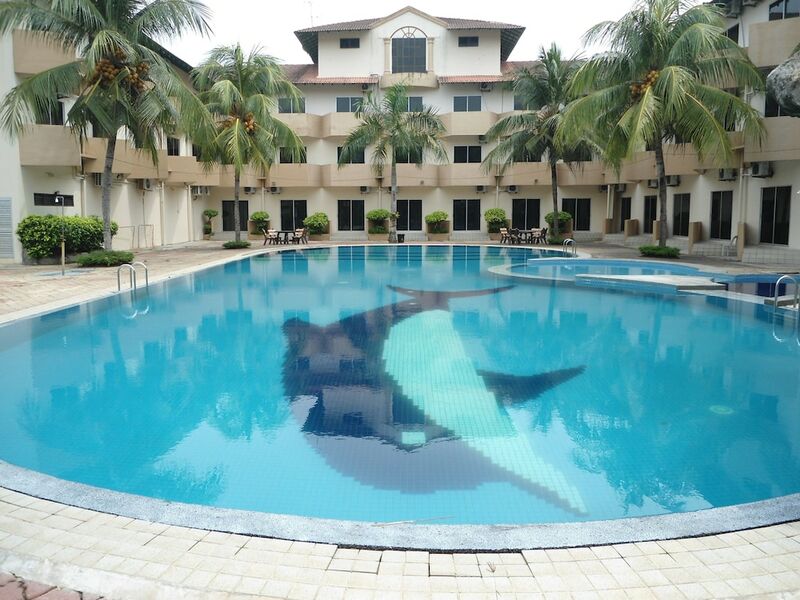 In addition to an outdoor pool, Rompin Beach Resorts provides a sauna and a children's pool. Wireless Internet access is complimentary. This business-friendly resort also offers tour/ticket assistance, barbecue grills, and a garden. Onsite self parking is complimentary. Bamboo Cafe - This restaurant serves breakfast, lunch, and dinner.